With the band set to release their 14th studio album, United, HAREM SCAREM have launched a new video for the track “Here Today Gone Tomorrow”, and you can watch it now on KNAC.COM HERE. 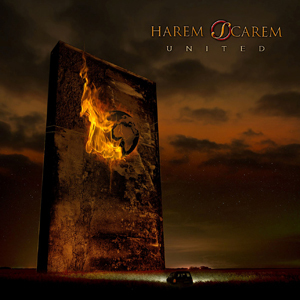 United offers up 11 tracks of trademark HAREM SCAREM music from Harry Hess (lead vocals, keyboards), Pete Lesperance (guitars, bass, keyboards), long-time drummer Creighton Doane, and backing vocals from original sticksman Darren Smith (who will be playing live drums for the band on tour dates). With sales well over a million records in 43 countries and 12 top 40 hits around the globe, 2017 will see HAREM SCAREM return and ready to dominate while touring the world in support of their 14th studio album, United.